This post originally appeared on HFTP Connect: The Hospitality Professionals’ Blog as part of the 2012 Hospitality Industry Technology Exposition and Conference (HITEC). Finally, a moment to recharge – for both my smart phone and myself! HITEC 2012 is my first experience with Hospitality Finance and Technology Professionals (HFTP). I am quite impressed with the organization and array of innovative technologies I see in the exhibit hall. I can’t remember the last time I checked into a hotel when I wasn’t tired and grumpy from travel. I would love to be able to go straight to my room to freshen up before enjoying the property. Yikes Mobile Travel App – Yikes syncs all your reservations booked on multiple sites. Yikes sends a message to your mobile device when your room is ready. When you arrive on the property, you are automatically checked in. So, you can go straight to your room and unlock the door with your individual security access. NCR Express Key – If you don’t have a smart phone with you, you can still avoid waiting at the front desk for your room key. The Express Key kiosk scans your check-in confirmation bar code from your smart phone or paper receipt and issues the card keys. I am a visual person. I like to see where I am on a map in relation to where I want to go. A GPS type app on my smart phone would be useful at a large resort or convention center. When I dine out, I read each menu item to imagine what it looks and tastes like. I need to read carefully because I’m severely allergic to shrimp. It would be helpful to know the content of dishes without relying on the server. iris Software Systems has a Guest Valet concierge application for both tablets and smart phones. The Sommelier, Bar, and Menu applications allow guests to order from a visually stimulating tablet-based menu. GlobalVCard – GlobalVCard allows you to make secure online payments with a single or multi-use unique credit card number. You create the “card” virtually and a digital image of the card on your smart phone is presented for payment. PMoney – With PMoney, you register your credit cards on a secure web site. When you are making a purchase, you enter your mobile phone number and PIN # instead of a credit card number. Your receipt is sent via SMS and email. 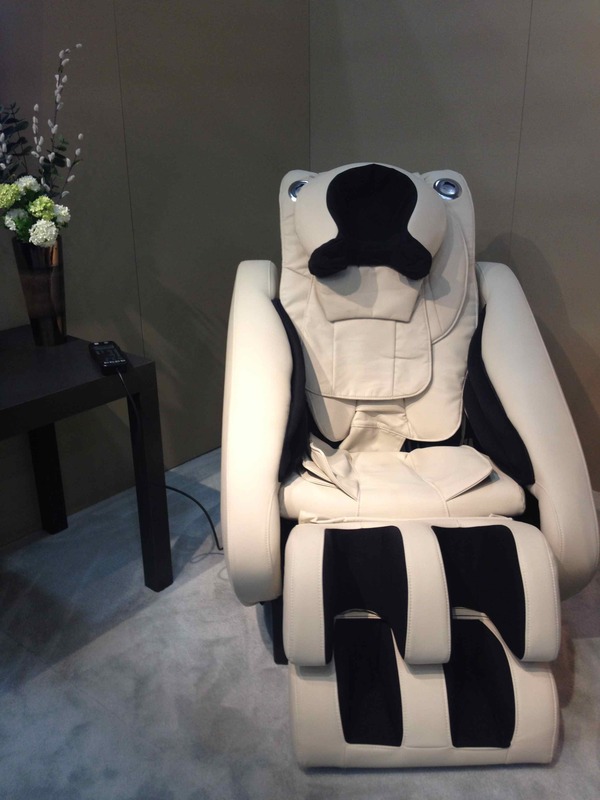 Fujita Zero Gravity Massage Chair. HFTP HITEC 2012. Baltimore Convention Center. Christina Dzingala, 2012. Last, but not least, the #1 favorite guest technology I can’t wait to see in my next hotel room – the Fujita Zero Gravity Massage Chair! Need I say more? I came to HITEC 2012 as a guest blogger. So, it’s a bit ironic that I’ve experienced technical difficulties tweeting and blogging about technology the last couple days. But after hearing Tuesday’s keynote address on hacking in the hospitality industry, I’m glad I had a notepad and pen in my conference bag. Flash Drive – A flash drive is the easiest way to attack an institution. Everyone uses them. Vendors distribute them. People share them. Pony Express – A pony express is a device that looks like an ordinary power supply cord. But actually it supplies the hacker with data from surrounding unsecured wireless networks. Smart Phone – Smart phones have all the tools a hacker needs – camera, internet, social media, apps, and more. And most smart phone users are not so smart in public places. Walk In – Blending in as a guest or employee is simple. A hacker can walk in and walk out with any device or data. From there, the hacker can easily access hotel guest’s personal data using malware. Online data searches of public records and social media provide the necessary credential information. YouTube videos demonstrate how to physically break into rooms and how to steal property and data. Wireless Networks – Provide guest access on a different network than hotel operations and point of sale systems. Electronic Hardware (TV’s, HVAC, etc.) – Change default passwords from vendor to secure passwords. 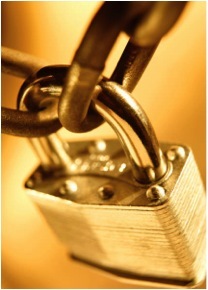 Business Center – Secure equipment, network, and any software provided to prevent malicious use and theft. Ballrooms – Secure Ethernet portals and any electronic equipment when not in use. Secure and Protect Data. Microsoft stock photo. “Green Initiatives Part 1” summarized key points from Monday’s HITEC 2012 “Green Initiatives” education session. We learned that global demand for energy is expected to grow by 57% over next 25 years and electricity prices are expected to double from 2008 prices by 2015. HFTP HITEC 2012 Exhibit Hall. Baltimore Convention Center. Christina Dzingala, 2012. Today in “Green Initiatives Part 2”, we head to the HITEC 2012 Exhibit Hall to check out the latest green hospitality technology. Today’s energy management systems (EMS) can save about 40% in energy, without compromising guest comfort and convenience. Higher energy savings quickly translates into greater cost savings for the property and lower carbon emissions for the planet. Energy management systems control consumption where energy is needed and reduce consumption where it is not. Property managers can set and monitor energy use remotely through wireless networking and web-based management applications. Guests can adjust temperatures, lighting, and other energy use to their personal comfort while in the room using easy to use devices. Sensors automatically readjust settings to conserve energy when guests leave their rooms. Real-time reports provide managers with timely information to address issues, change settings, and track usage. The EcoManaged ComfortStat thermostat fits right onto existing packaged thermal air conditioner (PTAC) control panels Guests can set room temperature to their personal comfort. The thermostat detects changes in carbon dioxide levels when guests enter and exit the room, and adjusts the temperature accordingly. Messages alert property management in emergency, overuse, or service situations. Ovation Networks’ Energy Management Specialists help properties identify eligible rebates, tax credits, and incentives. Verdant’s wall-mounted thermostats are designed to work with any hospitality heating, ventilation, and air conditioning (HVAC) system. Integrated thermal and motion sensors detect incidental vs. guest room occupancy and adjust temperature and humidity to guest preference or default settings. An “Info” button displays hotel informational or promotional messages. The VX Series thermostats are pre-configured with 5 energy saving presets to optimize energy savings. Evolve offers a full suite of guest control products including thermostats, lighting control, electrical outlets, power draperies, motion sensors, and other related devices. All the HVAC, lighting, and electronics in the room can be centrally controlled and monitored. Power is activated when the guest inserts their cardkey into the wall-mounted reader. The room’s devices can also be controlled remotely at the front desk to customize and prepare a room to guests’ preferences, or by engineering to monitor usage and address issues. Today’s energy management systems are a sensible and sustainable solution to providing guest comfort while conserving energy resources. Guests both see and experience first hand the hotel’s commitment to green initiatives. Green Roof, Baltimore Convention Center. Baltimore, Maryland. Christina Dzingala, 2012. While “going green” can create more “green” for the hospitality industry – a property’s green initiatives involve more than the landscaping. Senior hospitality executives are just beginning to get involved in sustainability technology planning and decision-making. Current conversations center around using technology to reduce consumption. However, electronic waste disposal is an increasingly important issue for the hospitality industry as new equipment is acquired to reduce consumption in other areas. Naomi Stark, President of Stark Service Solutions, Sunny Kim, Ph.D, Assistant Professor at Texas Tech University, and Dan Connolly, Ph.D., Associate Dean at University of Denver Daniels College of Business shared key benefits, barriers, and factors to successful sustainability technology initiatives during Monday afternoon’s HITEC “Green Initiatives” educational session. Current market trends indicate that global demand for energy is expected to grow by 57% over next 25 years. This increased demand is expected to double electricity prices from 2008 prices by 2015. Additionally, more consumers and meeting planners are looking for green initiatives in destinations and the properties they ultimately select for their travel. All good reasons for properties to consider long-term sustainability programs that reduce costs and waste. One of the top benefits for initiating a green technology program is the quick and high return on investment (ROI). Green technology programs can offer substantial savings in 6-10 years, with a longer payback period than many other projects. Strategy: Develop a strategy to use technology responsibly and effectively. Select equipment and applications to reduce energy, water, and paper consumption and carbon emissions. Deployment: Deploy effective technology practices to reduce computer hardware and lower power consumption. Ensure that business processes actually result in reduced waste. Disposal: Dispose of electronic waste responsibly. Use local recycling companies that are familiar with and comply with local regulations. E-stewards (www.e-stewards.org) provides information and resources. Employees: Involve employees in your green initiatives. Foster innovation and benchmark best practices. Continuously train employees on the reasons, benefits, and business processes to reduce consumption and waste. Guests: Make it easy for your guests to engage in your green initiatives. Offer green choices at various price points. Assist guests by demonstrating how to use new technologies. Reward guests for participating in green practices. Green initiatives are now at the core of remaining competitive in hospitality. Stay tuned for tomorrow’s blog “Green Initiatives Part 2”, a look at green hospitality technologies in the exhibit hall. This post originally appeared on HFTP Connect: The Hospitality Professionals’ Blog in preparation for the 2012 Hospitality Industry Technology Exposition and Conference (HITEC). How many HITECs have you attended in the past? HITEC 2012 in Baltimore, Maryland is my first HITEC conference. I am really looking forward to it. I specialize in communications, technology, and sustainability – and I see a lot of exciting trends in these areas for the hospitality and tourism industry. There is so much going on around mobile technology right now. Travelers can pretty much do everything related to their trip with a smartphone or tablet and without having to print anything. They can research destinations, hotels, restaurants, and things to do and book their reservations online or with any number of mobile apps. Bar codes in reservation confirmations facilitate the check in process – and scanners can read the code right from your smartphone. And travelers can share their experiences through social media and travel evaluation sites such as TripAdvisor and Yelp. So, I am really excited to see the latest technology for the hospitality industry, and what hotel rooms will look like to guests, around these trends. What education session/topic are you looking forward to the most? I am green at heart – so, I am really looking forward to the Green Initiatives session on Monday afternoon. When you mention “green” and “hospitality” together people may think of eco lodges in the wilderness. But green hospitality is really about using resources wisely to provide the best possible guest experience while reducing waste and expenses. I am interested in discovering the latest technology to help hotels save energy and water resources. I am especially curious to see what tools and features involve guests to make a difference vs. automatic or backend operational tools that guests do not typically see. What is something that you are looking forward to doing in Baltimore? Looks like we have a pretty full conference schedule, and I don’t want to miss any of the sessions. But, I would like to check out the new waterfront park at the National Aquarium and possibly take a cruise of the Baltimore Inner Harbor. Baltimore Inner Harbor, Baltimore, Maryland. Christina Dzingala, 2012. Have you ever had a “wow” moment in hospitality technology? If so, when and what was it? Yes, I recently had a “wow” moment in hospitality technology. I just got back from a trip to Washington and Oregon. As I was unpacking at home, I realized that I did not use most of the hotel room electronics (i.e., TV, phone, alarm clock, etc.) at all during the entire trip. Yet these were features that were promoted to me and I paid attention to when I was making my selections at the time. I was able to do everything I needed and wanted from my smartphone and laptop. It really made me stop and think about the types of technology amenities and features I would look for in my airline, hotel, car rental, and other travel services for my next trip. Cité Centre de Congress. Lyon, France. Christina Dzingala, 2011. It is a simple fact today that the meetings industry must move towards more sustainable green business practices. We have witnessed the huge environmental impact of the meetings industry in the areas of transportation, water, electricity, paper, plastic, and other resources. The recent slow economy has forced many businesses to evaluate costs and seek resource saving alternatives. This economic climate is just the extra push the meetings industry needs to move in the right direction much faster. 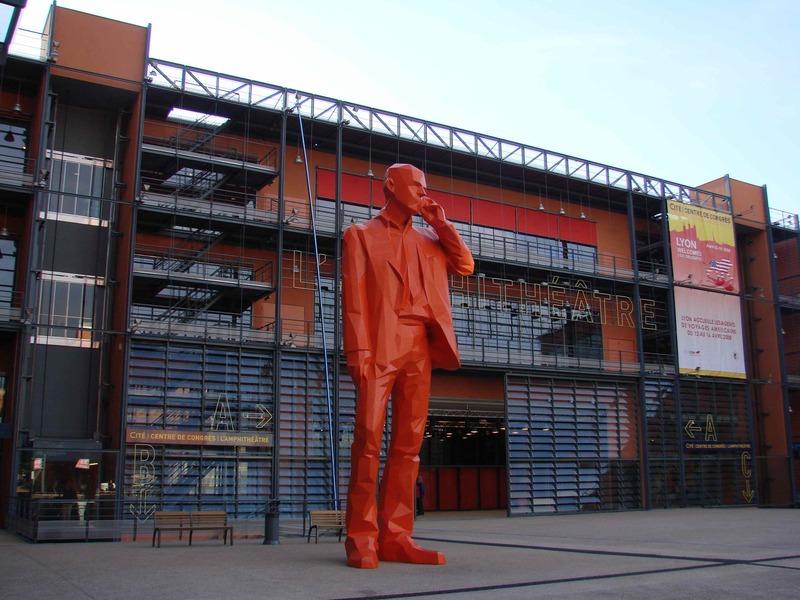 Green Meetings Are In Demand – Meeting attendees are consumers. As consumers become more interested in green practices, they demand the same from the products and services they buy and use. In addition, there is a trickle-down through the industries. For example, as airlines raise passenger baggage fees in response to rising fuel and energy costs, passengers demand less paper meeting materials to pack to avoid extra charges. Green Meetings Can Save Time and Money – Saving resources saves money, and everyone wants to save money. Eliminating printed meeting materials, such as brochures, announcements, etc. by switching to electronic communications saves printing costs and the time to print and mail the materials to participants. Recycling supplies such as badge holders and signs saves money and the time it takes to reorder these for the next event. Virtual meetings can save time and money in planning and travelling to attend meetings. A 1-hour webinar can be faster, cheaper, and more convenient than planning a half-day around the same 1-hour live meeting. Green Meetings Engage Participants – Greening a meeting gets everyone involved in the process of reducing, reusing, recycling. Actively engaged participants are probably more likely to feel they got some value out of the meeting experience and more likely to participate again. Green Meetings Help Fight Global Warming – The meetings industry is a top generator of waste from “one-time-use” items, ranging from the little plastic bottles of hotel shampoo to disposable cups for every break. Using bulk items can reduce the amount of waste that goes into the landfill. The fuel and energy used to transport people to a meeting contributes to global climate change. 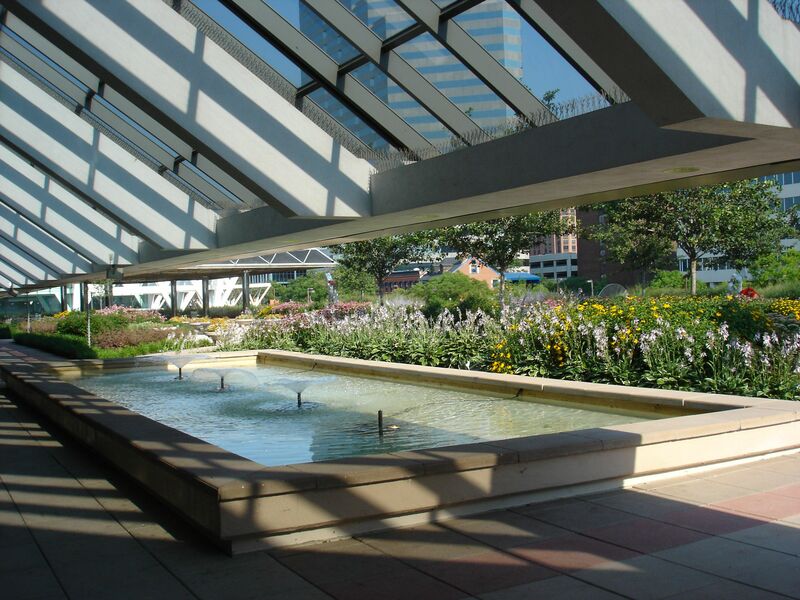 Holding meetings in a central location can reduce transportation and energy consumption costs. Virtual meetings can significantly reduce global climate change by eliminating fuel energy consumption. Green Meetings Are Here to Stay – The benefits and cost savings of sustainable green business practices will remain in the meeting industry long after the current “green” marketing trend has passed. Resource savings, such as using china ware instead of plastic ware at event venues, will become institutionalized. Before the Meeting – Prior to a meeting, meeting planners can utilize electronic communications for site inspections, requests for proposals, booking space and rooms, attendee communication and registration, project management, etc. On-site – During the meeting, participants can utilize electronic programs and materials, surveys and voting, message centers, course and session materials, etc. The widespread use of personal mobile devices, such as cell phones, PDAs, and laptops, provide a wealth of opportunities for communicating with participants using electronic means. After the Meeting – After the meeting, planners can utilize electronic tools for reconciliation and post-conference reporting. Proceedings and materials can be made available to participants in electronic form on the website. Instead of the Meeting – The world of gaming technology has produced a wealth of virtual conferencing opportunities including video conferencing, web conferencing, webcasts, and virtual trade shows where participants can interact with each other. Effectively utilizing virtual meeting technology can significantly reduce the energy consumption and solid waste production associated with on-site meetings. 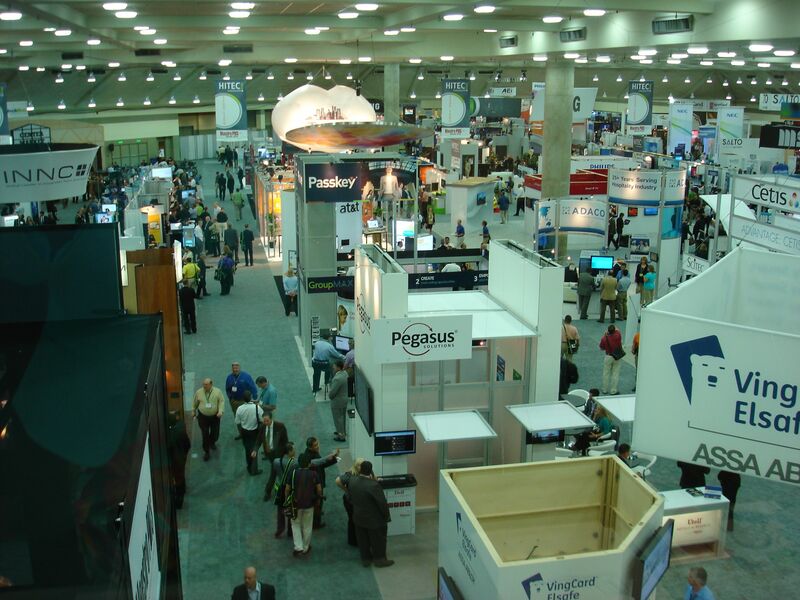 On-site meetings and virtual meetings both have a place in the future green meetings industry. Humans are social beings, and technology will not replace the value of live interpersonal networking that face-to-face on-site meetings offer. However, technology can be utilized throughout the event management process to help minimize the waste associated with producing an on-site meeting. As businesses look to control costs, they may schedule less frequent on-site meetings and look to virtual meetings. There is huge potential for virtual meetings for staff meetings, conferencing, etc. as more and more companies move towards teleworking, global offices, outsourcing functions, etc. As far as moving towards “carbon-free” meetings, organizations providing carbon offsets, such as Carbonfund.org, need to do a better job of making the mainstream mass public aware of what “carbon neutral” means to them. Many meeting attendees do not see the value of their mission because they do not really understand the green jargon. However, the current market is right for this type of campaign. Carbonfund.org and similar organizations should reach out to the meetings and tourism industry to somehow incorporate the carbon neural offsets into the cost of doing business, as opposed to an optional add-on expense. So, if a traveler purchases an airline ticket, the carbon offset costs are part of the ticket price, if a traveler purchases a hotel room, it is part of the price, etc. The company could then promote these carbon offsets as part of their green marketing. Green meetings can be both cost-effective and environmentally friendly if done right and done well. Several options and tools exist to assist meeting planners with planning and executing a green meeting. Current economic conditions can move the meetings industry towards more sustainable meetings. However, better communication to the meeting attendee about their role in green meetings is still necessary to ensure that the meeting is truly as sustainable as the meeting planner and host organization intended. Ball, C. (2011). “45 Ways to Use Technology to Green Meetings.” Corbin Ball Associates Website www.corbinball.com. Carbonfund.org. (2011). Carbonfund.org Website www.carbonfund.org. Green Events Source. (2008). “The Green Events Sourcebook” brochure. Green Events Source Website www.greeneventssource.com. Technology and Sustainability Solutions. Fotalia.com, 2012. Strategies, Solutions, and Sustainability focuses on triple bottom line practices for the digital age. This blog covers trends, issues, innovations, and best practices to transform organizations and brands. The purpose is to generate ideas and share solutions around communications, marketing, training, technology, management, and other related topics related to sustainability. Stay tuned!